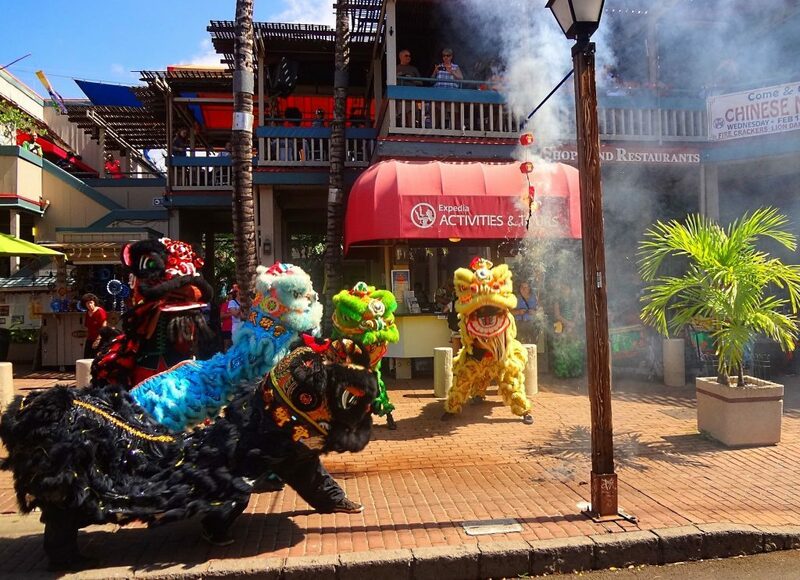 Lunar New Year (also called Chinese New Year) celebrations across Hawaii make for good fun and time to relax and enjoy life. People from all cultures and communities enjoy the events. There are parades, candlelight vigils, parties, community gatherings, and most importantly, house cleaning. Lunar New Year in 2019 celebrates the year of the earth pig. This particular animal is very popular as a sign of wealth and abundance. The earth element adds an extra bonus of comfort and prosperity, where literally the pig is in its natural element earth. People ages 84, 72, 60, 48, 36, 24, 12, and new borns are born in years of the pig. Welcoming the lunar new involves a thorough house cleaning. This means getting rid of all of last year’s trash dirt. People literally make space for fresh energy and ideas. Many people also make their homes more safe during the lunar new year. People put away knives and scissors to avoid accidents–a very bad way to start a new year. People in Hawaii also celebrate lunar new year by preparing their homes. They use symbols to welcome prosperity, health, and abundance. For example, some of these practices include fluffing pillows, putting out a bowl of fresh oranges, setting out sweets, and arranging fresh flowers. Meanwhile, people celebrate lunar new year up to two weeks after the actual astronomical event of the new moon. Therefore, there is plenty of time to make changes, host friends, and welcome new energy. As lunar new year celebrations continue, people practice special rituals. These include tasting something sweet first thing in the morning. The belief is this invites the energy of sweetness for the year. In addition, people ring bells or pop firecrackers to clear out bad energy. People also avoid cooking right at the new moon to prevent any cuts or burns.